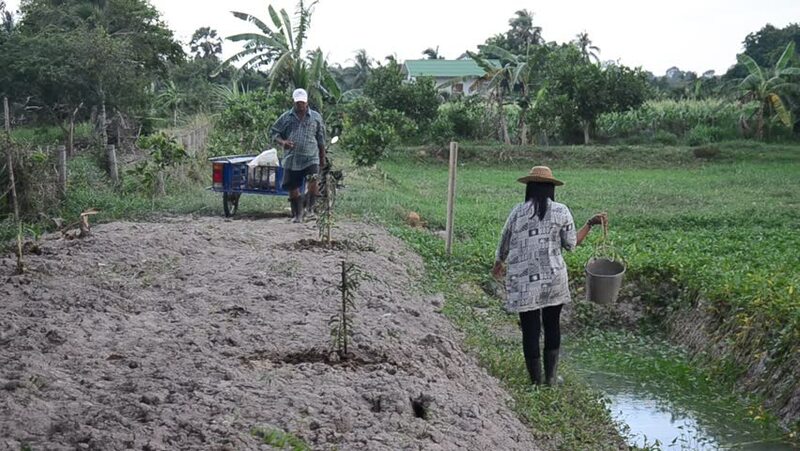 PHATTHALUNG, THAILAND - JULY 14 : Old man planting tree and growing vegetable and daughter use bucket of water watering tree at garden in dusk time on July 14, 2016 in Phatthalung, Thailand. hd00:15KENYA, AFRICA - CIRCA 2009: People ride bicycles and walk along a road in a small village circa 2009 in Kenya. hd00:28In the forest girl making yoga poses. Fun Headstand.